For those looking for a reliable logistics partner that can assist them in their freight shipping from China to Belgium, TS Freight offers premium services that are guaranteed to leave you impressed. We understand that the success of your supply chain business relies heavily on our commitment to the job and our efficiency in cargo shipping to Belgium, so that your cargo reaches the destination on time in mint condition. 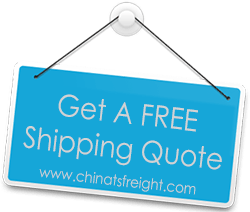 This is why we have designed a wide variety of sea freight and air freight shipping cost China to Belgium packages to cater to the varied needs of your business, and give you the option to choose one that is best suited to your current order requirements. We are fully aware how the small trivial formalities of shipping from China to Belgium can eat in to your precious time, which is why offer you completely integrated logistics solutions under a single roof that will make your life simpler. We will schedule for pick up in China, and defer services from and to China covering all major ports like Tianjin, Dalian, Shenzhen, Guangzhou, Shanghai, Ningbo, Xiamen, Hong Kong etc and more. We also handle export and import declarations and have a well linked network that allows us to ship cargo to all the major ports in Belgium including Liege, Antwerp, Limburg, Luxembourg, Namur, Genk, Bruges-Zeebrugge and more. At TS Freight, our priority has always been to meet with your logistics and shipping needs in the best possible way. To ensure that we are able to serve you above and beyond your expectation levels; we hire highly trained staff who are well aware of all the documentation, paperwork and custom clearance procedure required for shipping to Belgium.